Superfood fads are real, in fact I just had a bean, yam, kale burger for dinner last night. Urban Dictionary defines superfood as a food which provides such nutrition it cannot be supplemented. Essentially the only way to attain the nutritional benefits of a certain food would be to eat the food itself. Wikipedia, however, claims “superfood” is nothing but a marketing ploy. Nonetheless, scientists from Oregon State have engineered a new seaweed which they claim has the potential to be the next superfood; seaweed. 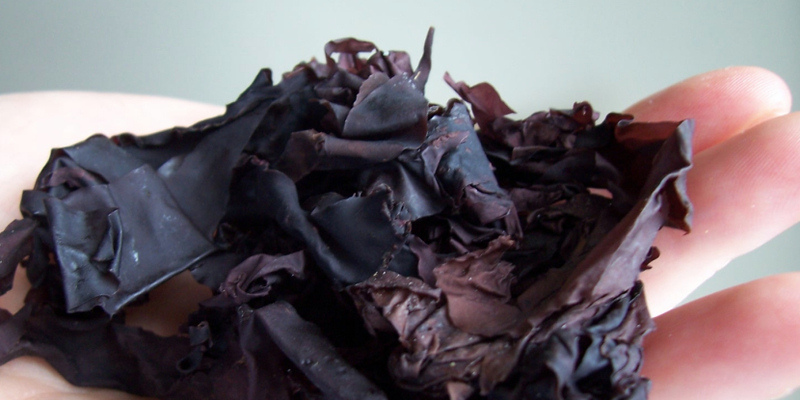 While standard seaweed itself has fairly low nutritional value, dulse, the kind of seaweed being engineered, is a known edible red seaweed which provides greater nutritional value. What’s special about this engineered seaweed isn’t just the nutrition though, but something else: it tastes like bacon. Dulse is a superfood, with twice the nutritional value of kale, and OSU [has] developed this variety that can be farmed, with the potential for a new industry for Oregon. While there is not a huge amount of nutritional information about dulse, Toomb’s claim of having twice the nutritional value of Kale is a bold one. Kale contains over 300mg of potassium and a 2.9 grams of protein, a high number for greens. Kale also provides over 130% of Vitamins A and C and also provides a substantial amount of Calcium B-6 as well as Iron. LiveStrong credits dulse as being a good source of Iodine necessary for thyroid function, 50% of recommended Vitamin B-6 intake, as well as providing around of quarter of recommended iron intake. However, because of dulse’s growing environment, the ocean, the plant is quite high in sodium, a concern for some. Hopefully OSU’s engineered dulse improves on a lot of these numbers, surpassing Kale’s nutritional value, all while maintaining the delectable taste of bacon. Toombs hopes this new bacony dulse can provide Oregon with a new speciality crop and contribute to the Oregon economy as well as add a nutritional, tasty food to today’s food culture. A looming question however, is will this new, genetically modified organism, be accepted by the foodie community? What do you think? Let us know in the comments or on Twitter, Facebook, or Google+!